I qualified as a solicitor in July 1977 and worked in a range of practices from commercial West End firms to a small family run office in Woolwich, before opening D.R.Sheridan & Co. in 1986. In 2010, the firm became D. R. Sheridan LLP. I am now a consultant with Parker Thomas Solicitors and am enjoying establishing a Family Law Department with particular emphasis on Family Law Arbitration. 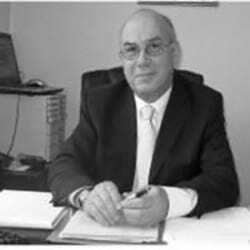 I am a collaborative trained solicitor and one of the first qualified Family Law Arbitrators. I am the author of the first book on Family Law Arbitration England & Wales published by the Law Society, the Second Edition 2017 including in addition to finance and property issues, children’s matters.